Base Depth: " Runs Open: /66 Summit: 10500ft. New 24HR: " Lifts Open: Vertical: 1745ft. New 48HR: " Snowfall YTD: Base: 8755ft. Brighton is all about getting a great experience at a great value. Averaging 500 inches of snow every winter, this resort boasts powder that is lighter and fluffier than any you’ve ever experienced. Five-star grooming keeps beginner and intermediate runs looking sharp, while many of the expert trails are left alone for true powder explorers. 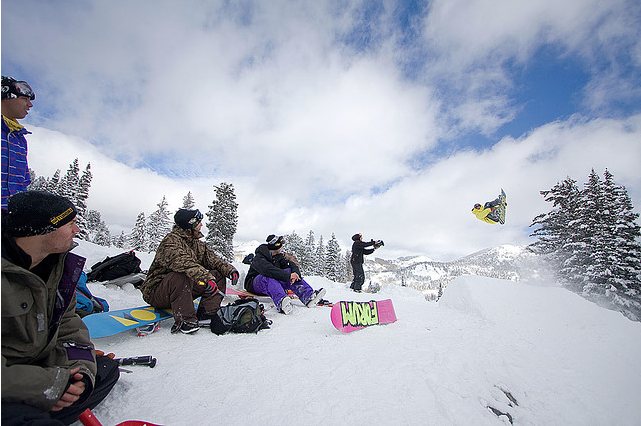 Brighton has terrain for every talent–and all of it can be accessed by high speed quad. Besides corduroy trails, there are trees, chutes, cliffs, and terrain parks to explore. The natural features of the mountain are open for your enjoyment, along with four constructed terrain parks that consistently change to keep the challenge coming. For those looking for lodging that still feels like home, the Brighton Lodge provides guests with ski-in, ski-out access to the slopes. The Crest Express lift is located only yards away from this rustic retreat, making it simple for skiers and snowboarders to get right out on the hill. With other benefits including over 200 acres dedicated to night-skiing and a convenient Ski and Snowboard School, Brighton gives guests everything they need to enjoy their ultimate winter experience. I love Bighton. Easy to get around. All major lifts are high-speed quads. Friendly staff; not crowded. A classic. Highly recommended! Icy in the shade, but overall the groomed runs and the sunny tree areas had great pow none the less. Went to ARCS ski and board before I went up and they hooked me up with some discounted gloves and ticket. They were great help. Thanks Brighton and Arcs for the hook up. Today i went to Brighton ski resort, I got my discount lift ticket at Ski N See’s convenient sandy location. There was plenty of fresh snow, i had a great time! Brighton had 16 inches of pow in some places. Thanks to Arcs for hooking me up with my pass. It was an awesome blue bird day.